The Hoops’ 14-match unbeaten home run came to a sorry end on Saturday as they were knocked out of the Kent Senior Trophy at the first round stage by Hollands & Blair. 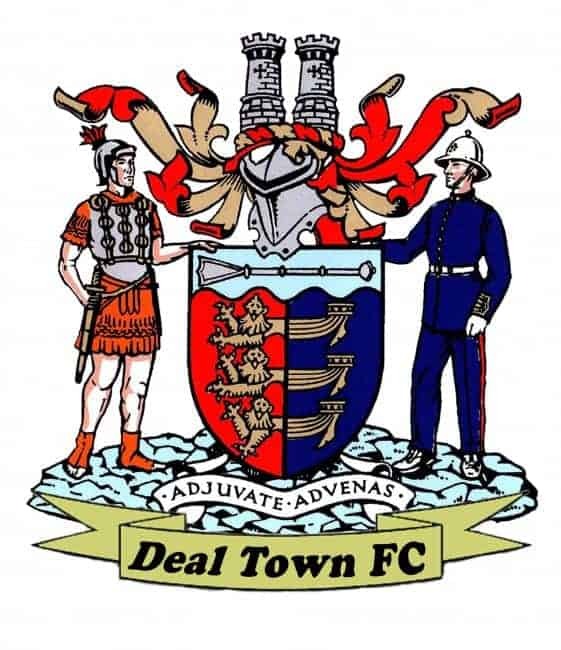 And, although Deal manager Derek Hares felt their margin of victory flattered the visitors, he had no argument with the result after watching his side lose at the Charles Ground for the first time since their 4-1 league defeat by Canterbury City last December. The Gillingham outfit certainly didn’t have the “hangdog” look of a team who had lost their previous eight matches in all competitions and it soon became clear that the Hoops were again going to have to work hard to repeat the narrow home league victory they had achieved over Blair back in early August. Genuine chances were few and far between for either side in the opening half hour and, although Sam Wilson saw one effort cleared off the Blair goalline as the Hoops slowly began to make some attacking inroads, the interval arrived with the scoreline still blank and little to write home about. However within seven minutes of the restart Blair were in front, helped by a Deal defensive mix-up. Hoops ‘keeper James Tonkin was impeded by one of his own players as he tried to collect a corner and the loose ball was bundled home by David Abe. Deal now knew for certain that they had a fight on their hands and Hares’ men may have sensed it wasn’t going to be their day when Harris Rodgers struck a post and the crossbar within the space of 15 minutes. Blair then confirmed as much when two of their substitutes, John Whittaker and Travis Jackson, both scored in the dying minutes to complete an unhappy anniversary for Hoops skipper Luke Bigginton who was making his 200th appearance for the club. Deal: Tonkin, Hark, O’Brien, Bigginton, Smith, Scott, Foster (Howard 70), Rodgers, Coyne, Wilson, Chapman (C Miller 61). And all this,despite the hard work put in by Andy Miller !